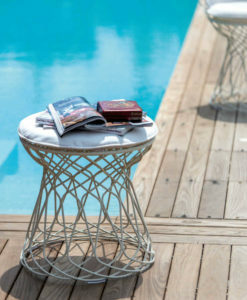 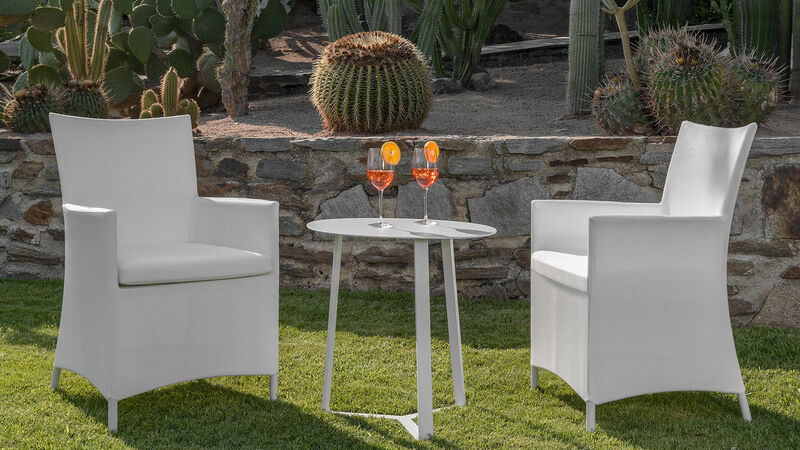 Modern White Powder Coated Aluminun Outdoor Side Table perfect for small spaces or even poolside, beach front, contract hospitality or restaurants, elevating a cool sense of sleek and style to your outdoor space. 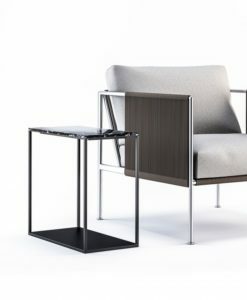 This piece is most notable for its versatility and adaptability as it is able to be paired and goes well with almost any furniture. 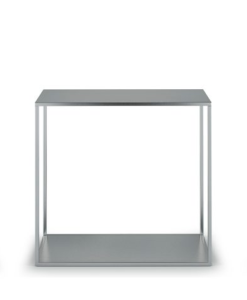 Additionally this piece goes well with indoor furniture. 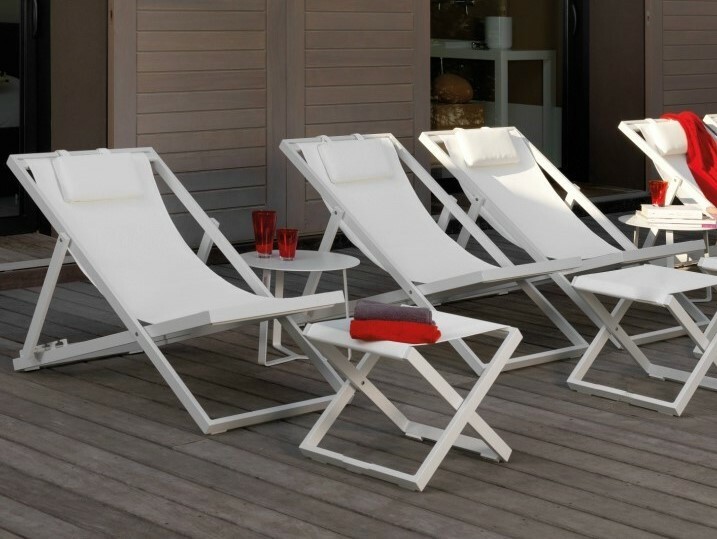 Available in either White, Dove or Mokka. 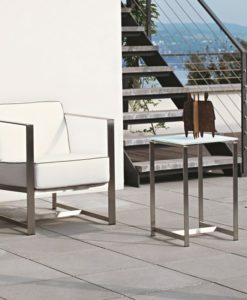 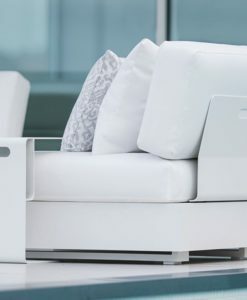 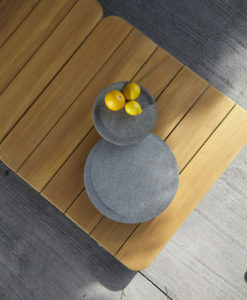 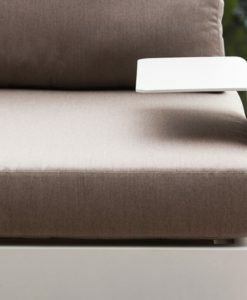 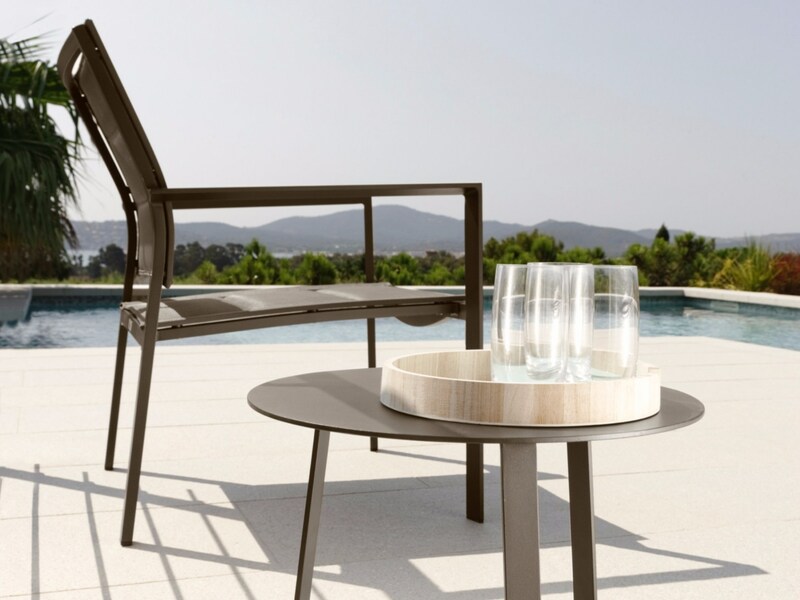 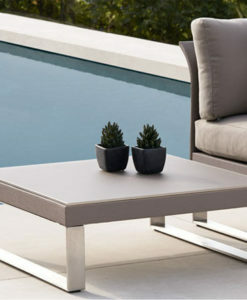 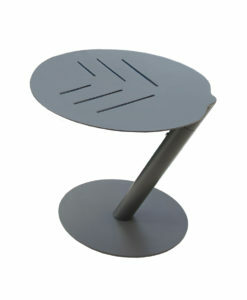 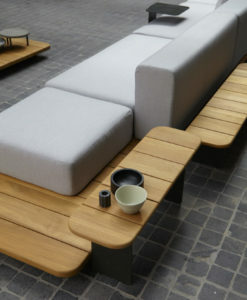 Modern White Powder Coated Aluminum Outdoor Side Table elevates a cool sense of sleek and style to your outdoor space. 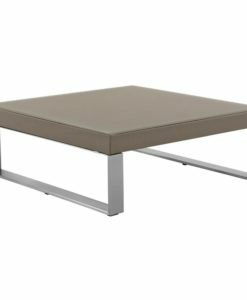 This piece is most notable for its versatility and adaptability as it is able to be paired and goes well with almost any furniture. 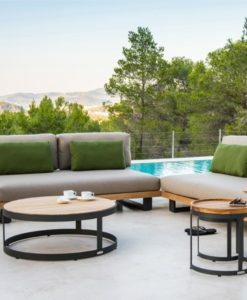 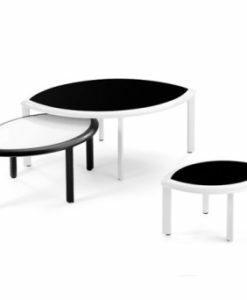 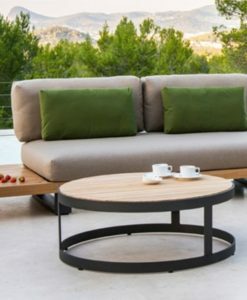 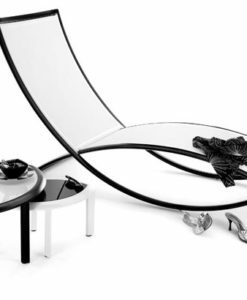 Simply designed and exceptionally durable, this table’s round surface offers a resting spot for drinks, books and your other relaxation necessities. 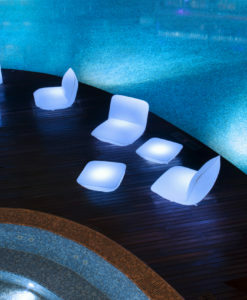 Also perfect for poolside, beach front, contract hospitality and restaurants. 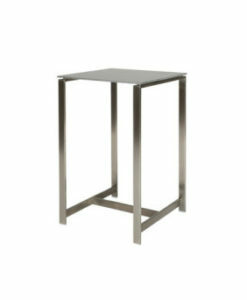 Additionally this piece goes well with indoor furniture. 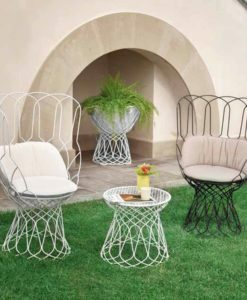 Choose from 2 different sizes to create a nest.